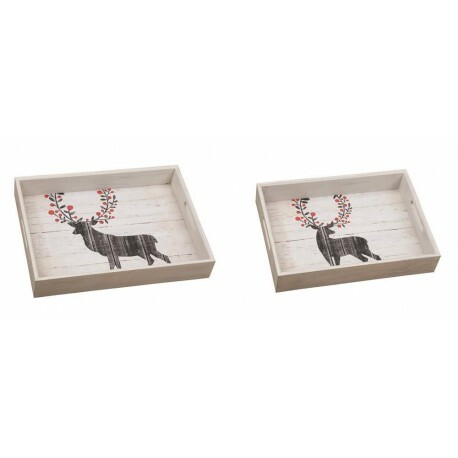 Add a special holiday touch to your next get together with this delightful set of reindeer serving trays. The trays are made from wood and feature an antique white finish with a screen print of a reindeer on each tray. Elegant and festive, these wood serving trays are great for entertaining or as a decor piece for on top of your coffee table or ottoman. 15.8" x 12" x 2.5". MDF Wood.